I started this series at a time when I was despairing over what I would read next. My ever-knowledgeable librarian, Pratap uncle, knew just what to give me. He handed me the first book in this series saying I should definitely read it. The author of these books is Chris Bradford. This was the first series which I have come across, where they talk in detail about the fighting arts of Japan. 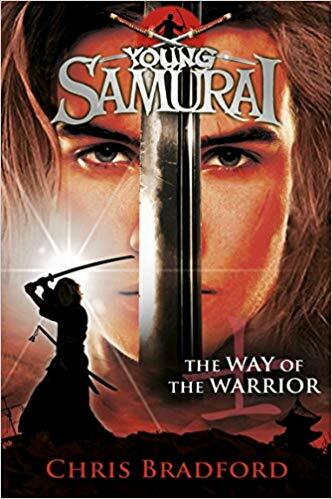 The first three books talk about the fighting arts of the samurai and the other five books are about the fighting arts of the ninja. 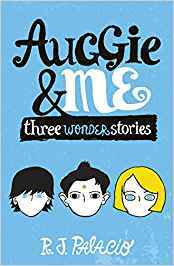 The plot of the first three books, as I have only read those many, talks about a boy named Jack Fletcher, who is shipwrecked when he is on his way from England to Nagasaki with his father. He lands in Osaka with all the crew on the ship dead, killed by ninjas, including his father. He has to adapt to the way of the Japanese and also protect the navigational logbook called the rutter, his father’s most prized possession. It was the key which would guide him back to England. Unfortunately, the knowledge of the rutter has spread far and wide and has attracted unwanted attention. He is then adopted by a samurai warlord, Masamoto Takeshi and sent to a school to learn the art of being a samurai. 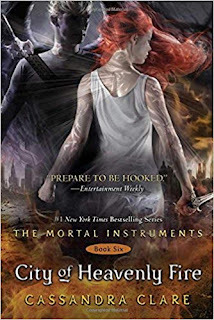 He has to fight for his life, as a dangerous assassin and an angry fellow student are out for him, and are ready to do whatever it takes to kill him. I liked this series because it was very well researched. The author gave proper Japanese terms and also has given a glossary at the end of the book. The different fighting arts have been explained very well, helping the reader understand what exactly was happening in the book. Most of the series and books I have read, have portrayed the protagonists to be near perfect. This series was different, as it showed all the flaws in the character and taught us an important lesson. You cannot eliminate your flaws if you do not try to or don’t work hard enough. A ninth book is coming out in 2019. I decided to read this series quite on accident. One of my mother’s friend had given us some books. One of the books included the fourth book in the Maze Rubber series. This gave me the perfect opportunity to start reading this series. There are five books in all, the first three being the main books, and the other two being prequels. My favourite books were the first one – The Maze Runner, and the last one – The Fever Code. The main books talk about a boy named Thomas who remembers nothing except his name. He wakes up to find himself with a bunch of boys, all who are like him, stranded in a maze with nothing except their name. The boys call the place the glade and themselves Gladers. Every month, a new person is introduced into the Glade, and this time it is Thomas. After Thomas arrives, the next day, another person is put in, and it is the first girl in the whole group. There are openings in the Glade and hey close every night. This keeps monsters called Grievers out of the living residence. The doors in the Glade stop closing and that the Grievers outside can get to them. Thomas and his friends figure out that a group called WICKED have trapped them in the maze and they manage to escape, but WICKED isn’t done with them yet. They put the Gladers into many other tasks in order to obtain a cure for a disease which has taken over the population of the world and is driving people to madness. They will not stop until they find a cure, even if that means that many lives will be taken. Will Thomas and his friends escape before WICKED’s experiments claim yet more lives, and this time, perhaps theirs? I fell in love with this series after reading the blurb. It sounded gripping, much like a thriller, a genre of books I particularly enjoy. 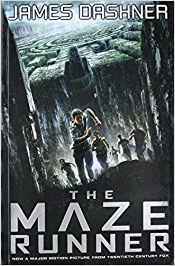 The author, James Dashner, managed to keep up the suspense, and when you read the fifth book, you are surprised to find the whole truth, as the main books leave a lot of unanswered questions which the fifth book answers. I would recommend the series for ages 13 above, because the books have a few gruesome deaths which can be disturbing to read. 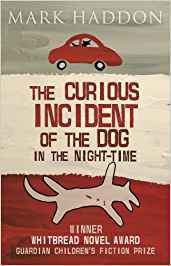 The curious incident of the dog in the night-time: My father really wanted me to read it, saying that it was very well-written. He was right as usual. The book is one of my favorites and is so different, unique. The narrator of the book is a fifteen-year-old boy named Christopher Boone who has some behavioral issues and is an introvert. One of Christopher’s talents is his ability to excel at Math and Physics. However, due to his behavorial issues, he can’t read others’ emotions at all and that makes it hard for him to communicate with people. One day, he sees his neighbor’s dog being murdered and is determined to solve the mystery. On the way, he finds out the truth about a lot of things which had been left unexplained or lied about to him. Mark Haddon has truly made this book stand out. One thing that catches your eye is the fact that the chapter numbers are not consecutive numbers but are prime numbers. The style of writing is very simple and allows you to explore the mind of young Christopher Boone. Every step taken by Christopher is explained and sounds sensible from his perspective. More than the solving of a mystery, it is more of Christopher’s way of solving the problems in life. It gives you a different perspective from which you can look at a problem - a somewhat simpler one. 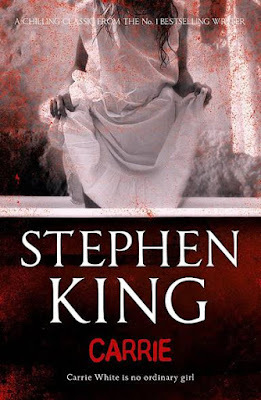 One of Stephen King’s earlier novels, this book explores the world of a bullied girl, Carrie, with a maniacal mother, and of the wondrous power of telekinesis which Carrie possesses, that does such horrible things. Carrie is teased at every stage of her life and is beaten up by her mother all the time. When Tommy Ross invites her to the prom ball, Chris, one of Carrie’s bullies along with her boyfriend Billy Nolan plan up a horrible night for Carrie. Forced, Carrie uses her powers that lead to terrible consequences. This was one of the first horror books that I have read, and I quiet enjoyed it because it wasn’t actually as scary as it was interesting. The reason I liked the book was how Stephen King built the plot up, and the techniques he used to make the whole story of Carrie believable, as if Carrie was a real-life character. He describes the mentality of every single character helping us understand why someone was evil and why someone was not. He has also used fake newspaper article snippets on Carrie’s problems, and has also created a fake autobiography written by Sue Snell, one of Carrie’s classmates. This makes the story very credible, as Stephen King also includes science articles that show how someone can have telekinesis. This is one of the books in the Belladonna Johnson series, which is written by Helen Stringer. It revolves around a girl named Belladonna Johnson who has the power to talk to ghosts. One day, all the ghosts slowly start to vanish, and that includes her dead parents, whose absence she never felt because she would talk to their ghosts. 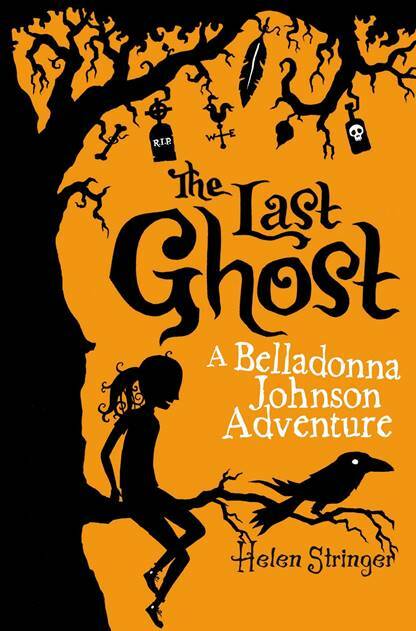 With the help of Steve, her friend, Belladonna has to find where all the ghosts are disappearing. Before her father disappears, he warns her that the doors are closing, leaving Belladonna puzzled. Which doors? Where are the ghosts going to? 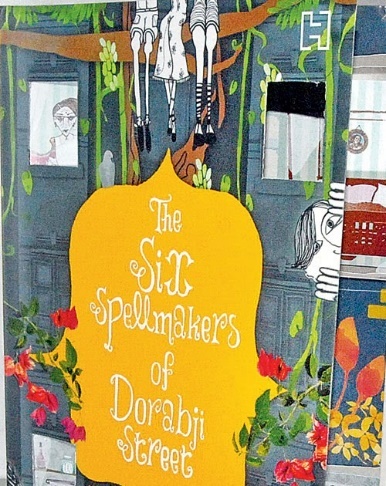 I thought that this book was full of mystery and adventure, and a lot of humour. Helen Stringer made you wonder where the ghosts could have gone at every step, and also introduced a new plot in the book adding more excitement and making you want to read the next book to find out what happens. She introduced a whole new story once the ghosts started disappearing which is what actually drew me to the book. Most people must have heard of this series, and I have to admit I hadn’t read it until late. I went to this bookstore called ‘Blossom’ on Church Street and bought the first book of the Artemis Fowl series to see what the speciality of the book was. Believe me, this series of books are mind-blowing. 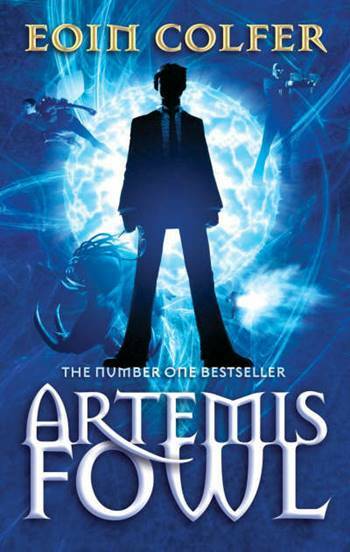 Artemis Fowl, a twelve-year-old criminal mastermind, discovers the world of the People, basically the world of pixies, elves, dwarfs, goblins, centaurs and much more. He wants to steal some of the gold that the People possess. In order to do this, he first convinces an ailing sprite to lend him the copy of the Book, the only text that contained all the rules that the People would abide by. He then kidnaps Captain Holly Short, a fairy who works as a captain at LEPrecon (Lower Elements Police Recon) and asks for a huge ransom. The People decide to set off a bio bomb once they run out of all options. A bio bomb is a bomb that destroys any form of living tissue in the place where it has been set up, leaving the rest the way it was. How will Artemis escape the bio bomb, and also secure the gold he wants? This book has been able to describe the magical world effortlessly without making things too complicated or confusing. Unlike most books about magic that I have read, these books slowly introduce facts about magic that need to be known to the reader. The plot never lags or gets boring. There is a twist at every turn, yet there aren’t too many - just enough to keep the story interesting. There is a lot of suspense and the reader can’t stop anticipating what would happen next. 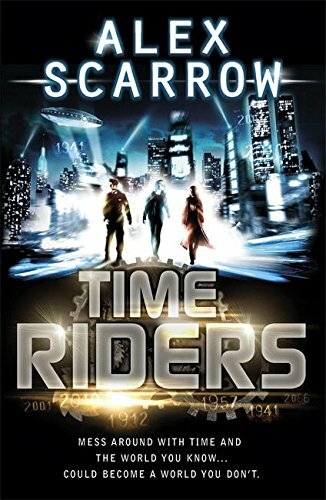 This book is a science fiction books series written by Alex Scarrow. It talks about a group called ‘The Agency’, whose main goal is to prevent people from meddling with the past to change the future. Three people, Liam, Maddy and Sal, who should have been dead, have been given the chance to join ‘The Agency’ and get to live life in secret. Foster, an old man who recruited them helps them run the agency. They work with the help of cyborgs, robots who can imitate human emotions. Their first mission is when a man called Kramer goes back to the time of Adolf Hitler and changes the past so that Hitler wins the world war. This results in a huge time wave. They now live in a place which is rigidly structured and the whole of New York city is bleak and grey. Liam and the cyborg Bob must go back in time to prevent Kramer from changing the past. Later Maddy, Sal and Foster find out that all their engines have shut down, and they need diesel to run them again. Meanwhile, another time wave strikes that ends up killing all life on earth and mutant cannibal creatures now live on Earth. How will the three bring back Bob and Liam without their engines working? This series is very fascinating, as the part about time travel and the machines used is explained very well. The technique using which the three handle the problems with the help of Bob, their support unit, is truly unique, and none of the stories in the books is repetitive. Each character’s personality is different, allowing the hero to have some faults, showing that not everyone is perfect. To make the story better, Alex Scarrow has added a different plot. While the three are busy correcting history, they discover dark secrets about the agency. This makes it mystifying and each secret is very important to finding out the truth about the Agency. In the last newsletter, I talked about a series called ‘Power of Five: Raven’s Gate’. 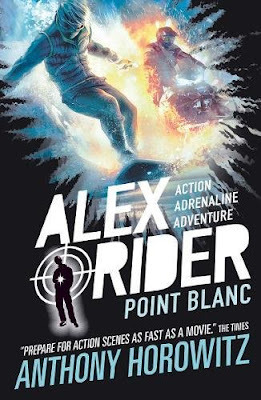 The same author has written another best-selling series named ‘Alex Rider’. 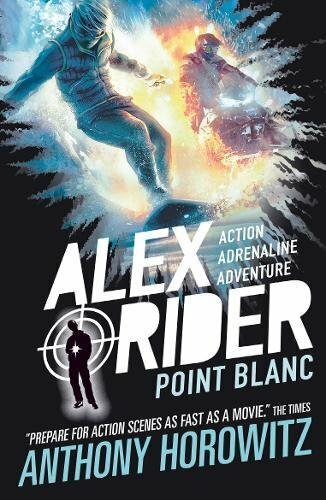 Filled with the hair-rising adventures of Alex Rider, a fourteen-year-old who is forced to take the place of his deceased uncle, Ian Rider, an undercover spy for MI6. He is sent on a mission to reveal the secrets of Point Blanc, a disciplinary school where the rich send their children to help keep their toes in line. The accidental deaths of two parents whose kids were at Point Blanc, makes the MI6 suspicious and they send Alex to investigate the place. He is disguised as the son of Sir David Friend, a rich man who owns a successful chain of supermarkets and is equipped with a set of clever gadgets to assist him. 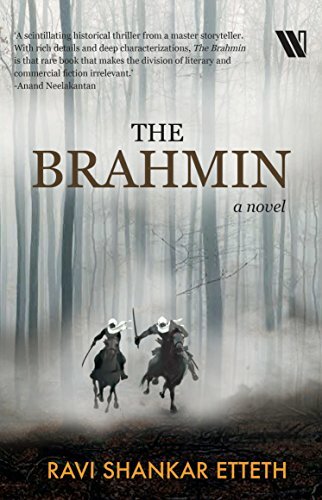 The genius of the plot of any of the books in this series is that the solution is so spectacularly clever that one cannot even think of it, yet when one reviews all the facts, everything adds up. Usually in books involving spies, they mostly mention the excitement of the profession, but this book takes a new perspective. It shows the dislike that Alex feels towards the agency and his profession. None of the scenes in the books sound very repetitive, as if the plot of this book is the same as the plot in other such books. From among all the books we covered in our monthly newsletters, here are some that we recommend on topics that are Indian or written by Indian authors. Hope you like them! I can promise you a lot of laughs from this. Nivi and her brother Nikhil, have just moved into a dull grey building called Cosy Castle, on Dorabji Street in Mumbai. 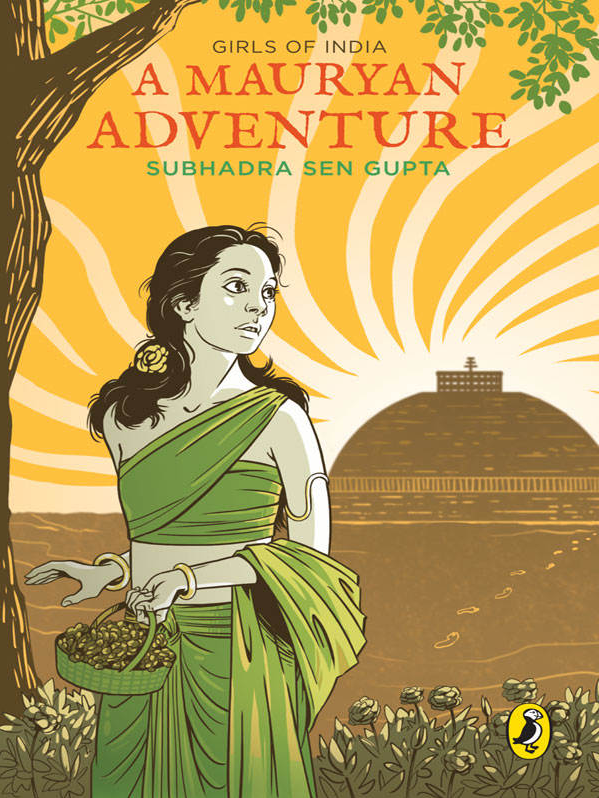 She adjusts quickly with her surroundings and befriends a girl named Sarita. Their favourite spot was the garden located in the apartment. The garden had two large Bimbli trees which they used to climb and read books on. Two old ladies, Mrs. Braganza and Mrs. Katodia hate to see children laughing and playing, and start to plot together to inflict misery on the innocent children. Nivi, Nikhil, Rehaan, Sarita, Venu and Vijay must save the bimbli trees, their favourite spot. Reviewed in our Aug 2017 eGranth newsletter! It reads like a storybook, simple and interesting. The chapter names itself are catchy. Reviewed in our Aug 2017 eGranth newsletter. This is the seventeenth purana I am reviewing and is a Rajasika purana. It is the first purana in the order of puranas and has around nineteen thousand shlokas. The Purana is divided into 245 chapters (adhyayas). It is believed that the Brahma Purana was the first to be composed. We are not very sure of this because the original text of this Purana is lost, and the present text is not very old. 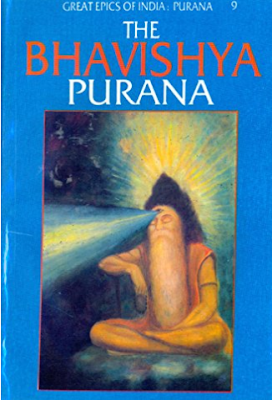 If one notices the Brahma Purana, you will notice that it seems to have been reconstructed based on the accounts of the Vishnu Purana, the Markandeya Purana, the Vayu Purana, the Mahabharata and the Harivamsha. I do not know how this Purana is a Rajasika Purana because it doesn’t appreciate Brahma more than the rest of the gods, and the part about creation is the same as the other Puranas with no extra information. This Purana starts with creation and goes on to talk about the stories behind different tirthas and temples, which also have a hidden value behind them. This is the fourteenth purana I am reviewing and is the last of the sattvika Puranas. This Purana is slightly longer than the Vishnu Purana, and is divided into two sections, the purva bhaga and the uttara bhaga. This Purana is known as the Varaha Purana because this Purana was narrated by Vishnu in his Varaha avatara or form to the Earth on her request. This Purana does not talk about any specific topic but include the usual information that any Purana should have, and then narrates stories according to the questions asked by Mother Earth. The stories in this Purana include many stories on the different tithis and also on the different sites of pilgrimage, and also include a lot on why Mathura is one of the holiest places one can visit. This Purana also points out what acts will displease Lord Vishnu, and how would you make an idol. 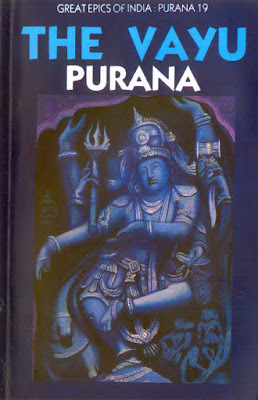 This is the twelfth purana I am reviewing, and this too is a tamasika purana. The Agni Purana was narrated by Agni, the god of fire, to Sage Vashishta, who then narrated it to Rishi Vyasadev. This is how the purana got its name. 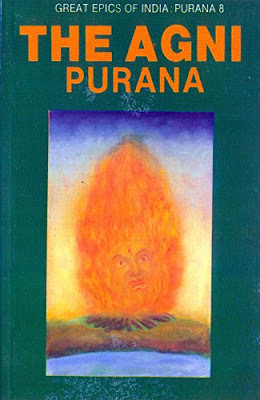 Unlike most puranas, the Agni purana does not have any parts, or bhagas. It is simply divided into three hundred and eighty-three chapters. The last chapter is considered to be the most interesting chapter as it talks about the Advaita brahmajnana, which teaches the union of the individual human soul (atman) with the brahman, the divine essence. This is very important and interesting because only when the atman and the brahman merge will one experience true bliss. The Agni Purana is an exception as the five characteristics that a Purana should contain are not all there, as the Agni Purana contains more of rituals, practices, omens, astrology, etc. This Purana is eighth in the list of Mahapuranas and contains fifteen and a half thousand shlokas. 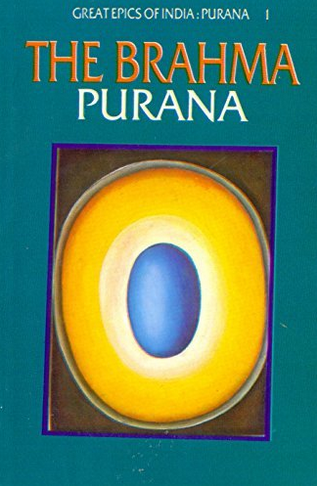 This is the tenth purana I am reviewing, and this one is also a Sattvika Purana, as the name suggests. It is placed fifth in the list of Mahapuranas and is considered to be one of the most important ones. The Purana has eighteen thousand couplets and is divided into twelve sections. Each section (skandha) has several chapters. 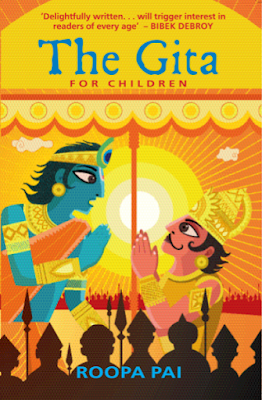 The tenth skandha is the longest, and also the most popular as it contains various stories on Lord Krishna. 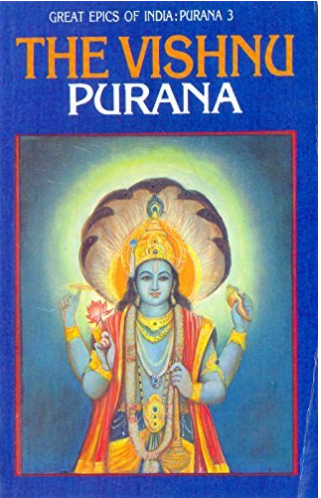 This Purana, like most Puranas has been narrated to the rishis by Suta, Romaharshana’s son. Romaharshana was a disciple of sage Vedavyasa. This Purana also says that Vishnu had twenty-four incarnations, though it mentions only twenty-two of them. 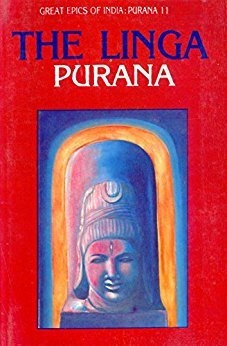 This is the eleventh purana I am reviewing, and it is a Tamasika Purana as I have already reviewed two sattvika puranas in a row. This turns out to be a coincidence as the Linga Purana is eleventh in the list of Mahapuranas and is the second shortest Purana as it has only eleven thousand shlokas! The Linga Purana is divided into two parts - the purva bhaga, which has a hundred and eight chapters, and the uttara bhaga which has fifty-five chapters. The language of the Linga Purana is not that simple to interpret as it is made of long sentences which makes the comprehension difficult. It does not purely consist of rituals as Tamasika Puranas should contain. It includes an assortment of stories that glorify Shiva, and also a few that glorify Vishnu. The rituals in this Purana are barely mentioned, at least in the abridged version of the Purana that I am reviewing. Information on the geography of India, and on the Solar and Lunar dynasties is the same as the Bhagvata Purana with a few minor variations. This is my last Mahapurana that I have to review and is naturally my last rajasika Purana. This Purana is made up of eighteen thousand shlokas which makes it a medium sized Purana. 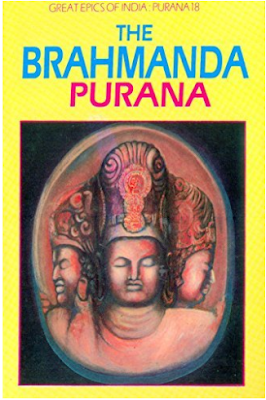 The Brahmanda Purana is divided into three sections known as the purva bhaga, madhyama bhaga and uttara bhaga. Each bhaga is further divided into subsections known as pada. 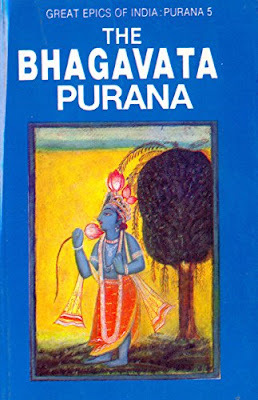 The purva bhaga has the prakriya pada and anushanga pada, the madhyama bhaga has the upodghata pada and the uttara bhaga has the upasamhara pada. The whole Purana has seventy-one adhyayas (chapters) in all. This Purana has been narrated by Lord Vayu to the sages at Naimisharanya forest after a wonderful yajna took place there. The Brahmanda Purana is a Rajasika Purana in a true sense, as they glorify Brahma more than the rest of the gods and that most of the book talks about creation. The stories in this Purana are minimum, and you will find four to five stories, most of which have already been recited in the other Puranas in greater detail. 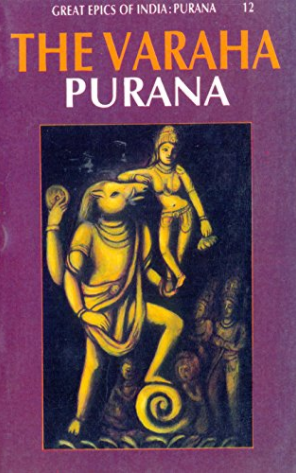 This is the fifteenth purana I am reviewing, and it is a Tamasika purana. This Purana says that all the puranas were originally recited by Lord Brahma and that to understand the Vedas one must read the puranas. Many of you must be thinking why the Vayu Purana is considered to be a Mahapurana, as otherwise, there will be nineteen Mahapuranas. There has been an argument on whether the Shiva Purana is the fourth Purana in order or the Vayu Purana, and as people have not been able to answer this question, both puranas are added to the list. Therefore, there are nineteen Mahapuranas. The Vayu Purana says that it has been recited during the reign of King Adhisima Krishna, who was one of Parikshit’s descendants. This Purana is named the ‘Vayu Purana’, because it was recited by Vayu. It has twenty-four thousand shlokas, and is not too long. 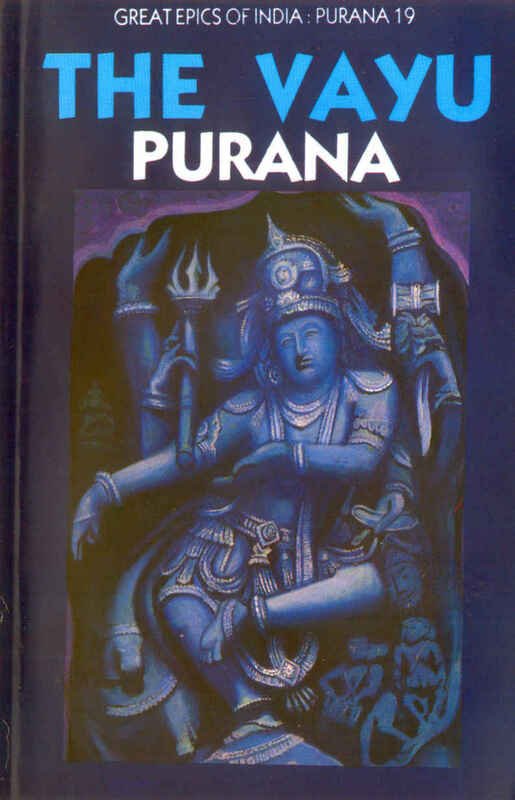 This Purana includes many stories, and there are barely any rituals stated, and that makes me wonder why it is a Tamasika Purana as it neither glorifies Shiva too much, nor does It contain many rituals. 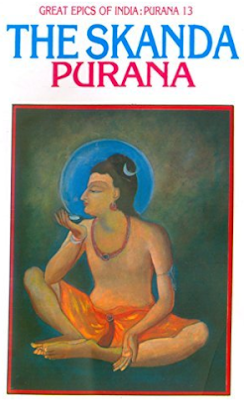 This is the thirteenth purana I am reviewing, and it is a sattvika purana. After this, I only have one other sattvika purana to read which is the Varaha purana. All the Puranas have been composed by Vedavyasa, except this Purana which was composed by Vedavyasa’s father Rishi Parashara. This Purana comes third in the order of Puranas and contains twenty-three thousand shlokas. The Vishnu Purana is narrated by Rishi Parashara to Rishi Maitreya who came to him to know about the creator of the universe. It is then that Rishi Parashara narrated the Vishnu Purana. The Vishnu Purana is divided into six major sections or amshas and the last amsha is relatively short. This Purana starts with the creation of the universe and goes on to talk about elements that are commonly included in most Puranas like the different kinds of hells, and the geography of the world. The first few stories are stories that I have commonly read in the rest of the sattvika Puranas. The story of Dhruva, the churning of the ocean, the story of Prahlada and the story of king Prithu are mentioned in almost all the sattvika Puranas. The rest of the stories are extremely interesting ones and are either different versions of stories or entirely new stories.